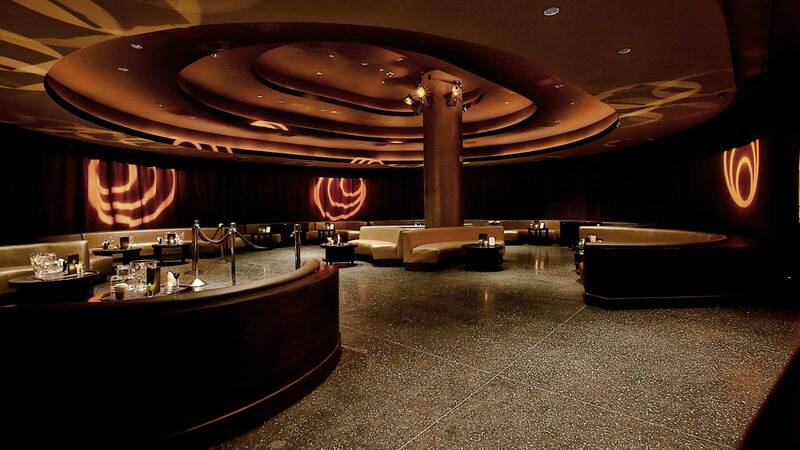 KOI Ultra Lounge combines the exclusivity of Hollywood with the energy that is Las Vegas. Encased in an exotic beauty that its namesake represents, KOI Ultra Lounge is sure to offer its clientele a unique Las Vegas experience. Open Daily. For table reservations, please call (702) 454-4555. The Ultra Lounge at Planet Hollywood shatters the norm with a one of a kind approach to the Vegas experience! Plush lounge seating lines the border of the onyx-hued circular floor while the pulsing lights play kaleidoscopically across golden flecks inlaid in each tile. Indulge in yourself and elevate your party experience with a table reservation, take in the stunning view of the sprawling casino floor from our terrace, or sip on masterfully crafted cocktails at our softly glowing main bar. Incorporating Asian inspired décor and a staff to rival any establishment of its size, KOI Ultra Lounge has made quite the impression amongst tourists and locals alike. Featuring table service, a spacious lounge and an exclusive clientele, KOI Ultra Lounge seeks to become a new stop on the Las Vegas destination scene.